Our A1 (840mm x 595m) pavement signs are double sided. 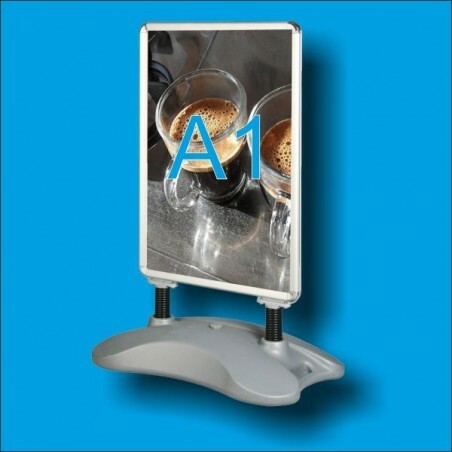 It represents excellent value for money and is ideal for forecourts and pavements near your shop or office. Attractive styling and excellent build quality with steel springs offer panel movement to aid stability. 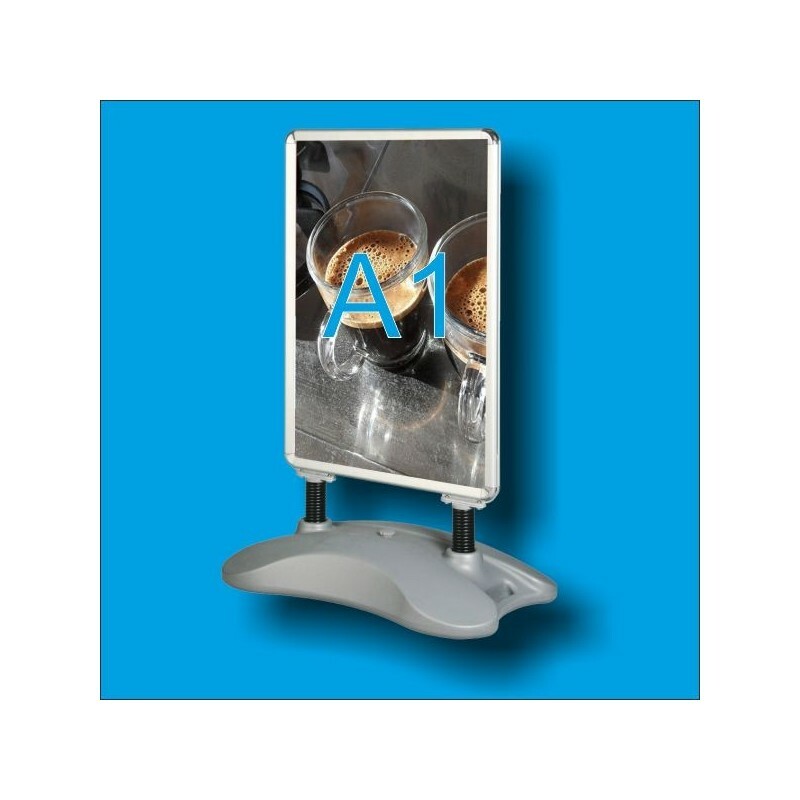 It has a silver anodised frame and grey plastic base as standard with antiglare PVC poster covers and a quick poster change, double-sided ‘snap open, snap shut’ frame. The base of the pavement sign is water-fillable with in-built wheels. This product is supplied with 2 posters already installed. DBS Print & Sign, Unit C3, Centrepoint Business Park, Oak Road, Dublin 12, Ireland.